It was only a matter of time before the new Congress saw the reintroduction of a pro-Low Power FM bill. If passed, this legislation would create opportunities for hundreds more community radio stations in cities, towns and suburbs across the United States. The House of Representative’s new Local Community Radio Act represents a strong step forward towards this goal. FMC has long advocated for LPFM (and non-commercial, community radio in general) as an alternative to the homogenized playlists often heard on hyper-consolidated corporate radio. LPFM in more areas would be a tremendous boon to local and independent artists who typically find themselves shut out from area commercial stations. We figure that if more people had the chance to hear the talent in their own backyards, it might even have a positive effect on local economies. But LPFM isn’t just good for musicians — new low-power licenses would make radio station ownership possible for schools, churches, labor unions, local governments, emergency providers and other nonprofit groups, who could use the public airwaves to directly communicate with their local community. 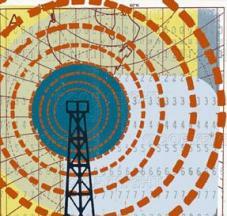 The last time LPFM legislation was introduced, it won nearly 100 co-sponsors in the House. The Senate version of the bill, sponsored by Sens. Maria Cantwell (D-Wash.) and John McCain (R-Ariz.) and co-sponsored by then-Senator Barack Obama, unanimously passed out of the Commerce Committee. The Senate is expected to reintroduce a new version of the bill in the near future. We’ll keep you updated!